Circular Motion (now Stars in Motion) has been expanded to include both template and foundation paper piecing and two shape options -- with or without bottom corners. 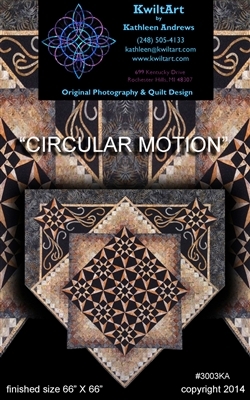 Please see "Stars in Motion" Item 3333KA to order this pattern. A package of foundation papers is also available - see "Stars in Motion Foundation Papers" Item #3113KA.